Rewards. Bribery. Anger. Frustration. Lights on, lights off. Music. Stuffed animals. TV on, TV off. Fans. Melatonin. Talking, pleading, professional counseling. Monica and Richard Plack had tried everything to get their youngest daughter, Bailey, to sleep through the night – in her own bed. 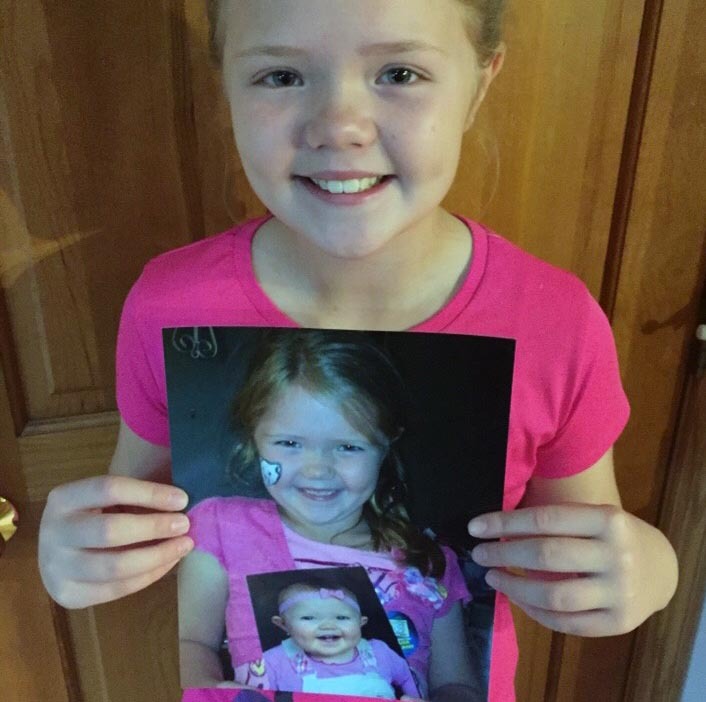 It had been an ongoing battle; Bailey was now 10 years old, and everyone just needed a good night’s sleep. Bailey was afraid of the dark and worried a lot. Her anxiety was not limited to nighttime. Diagnosed with a generalized anxiety disorder, she might become overly worried about something others would perceive as a minor concern and was prone to panic attacks. 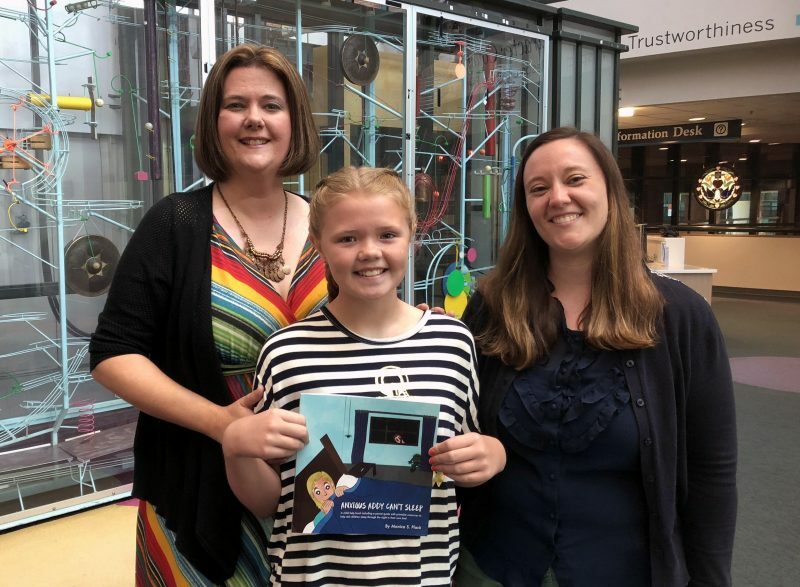 After completing a Sleep Medicine consultation at Akron Children’s, pediatric pulmonologist Dr. Greg Omlor referred Bailey to Dr. Jamie Travis, a pediatric psychologist who specializes in treating behavioral pediatric sleep disorders. Like many toddlers, Bailey was afraid of the dark and didn’t like being alone so she made frequent middle-of-the-night trips to her parents’ room. But, unlike most other children, she was unable to overcome her fears on her own and they persisted through her pre-school and early elementary school years. “We began to think we wouldn’t get a peaceful night’s sleep until she went off to college,” Monica said, only half joking. But Dr. Travis helped Bailey work through her fears. 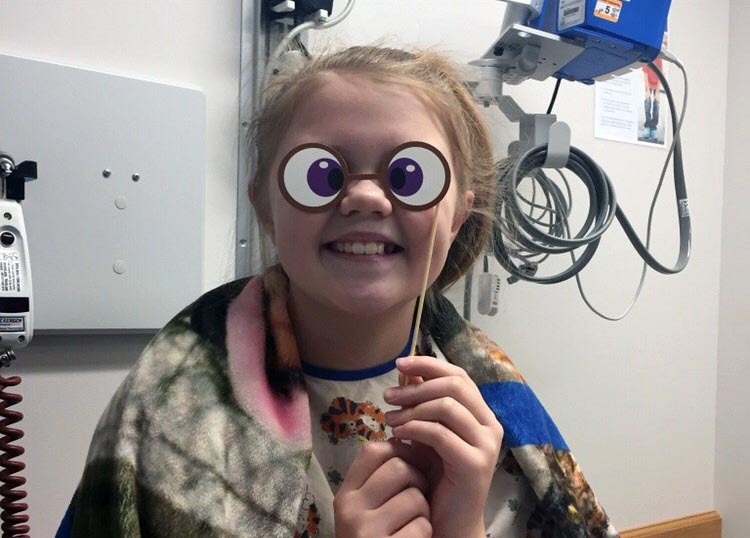 Dr. Travis’s plan for Bailey was multi-faceted but focused on helping her overcome her anxiety, gradually changing her behaviors, establishing a bedtime routine, getting her to “buy into” the program, and having high expectations for consistency in follow-through for Bailey and her parents. An official “begin” date so the family would clearly be able to track progress over the days and weeks ahead. Teaching Bailey “relaxation techniques,” such as deep breathing exercises and visualization (of, say, a favorite place), to deal with anxious moments. Replacing bedtime television watching and reading on electronic devices with quiet time activities like reading books, playing with toys, or listening to soft music. Bailey also found a personalized lullaby relaxing. Using “flashlight scavenger hunts” to help Bailey overcome her fear of the dark. Bailey would enter her dark room with only a flashlight to look for objects hidden by her parents. Over time, the objects got smaller and harder to find but the increasing amount of time gradually “desensitized” her to being alone in the dark. Using a sleeping bag to transition Bailey from parents’ room to her own room. At the beginning of the plan, she slept in the sleeping bag near her parents’ bed and each night it was moved closer to her room. At some point, she realized her own bed was more comfortable than sleeping in a sleeping bag in a hallway. Keeping up her “Rewards” and “Responsibilities” charts. Each night, Bailey would give herself checks for not using electronics and following other rules of her new bedtime routine. This would coincide with earning points that could be redeemed for items like a bowling or ice cream shop outing with family, family board game night or a new toy or book. Bailey created the charts herself so she was more invested in her own success. A commitment to consistency was perhaps the most important aspect of the plan. Bailey, now 11 and a student at Jackson Sauder Elementary School, is sleeping through the night. She enjoys sleeping over at friends’ houses and is gaining so much confidence she is interested in performing on a stage. 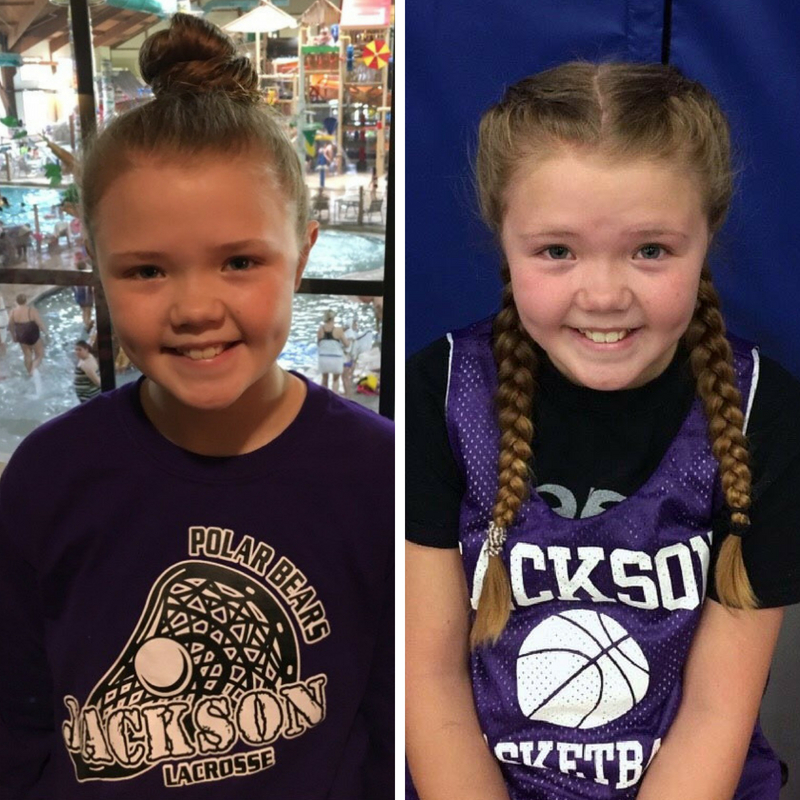 All of that high quality sleep only helps fuel her busy days – full of school and extra-curricular activities like basketball and lacrosse. Dr. Travis said like any other successful endeavor her work with the Plack family came down to a team effort. Even though Bailey has overcome her sleep difficulties, a bright-eyed, blond child named “Addy” still struggles with thoughts of spiders, aliens and monsters at night. Addy is a fictional character whose journey to getting a good night’s sleep is chronicled in a picture book written by Bailey and Monica. 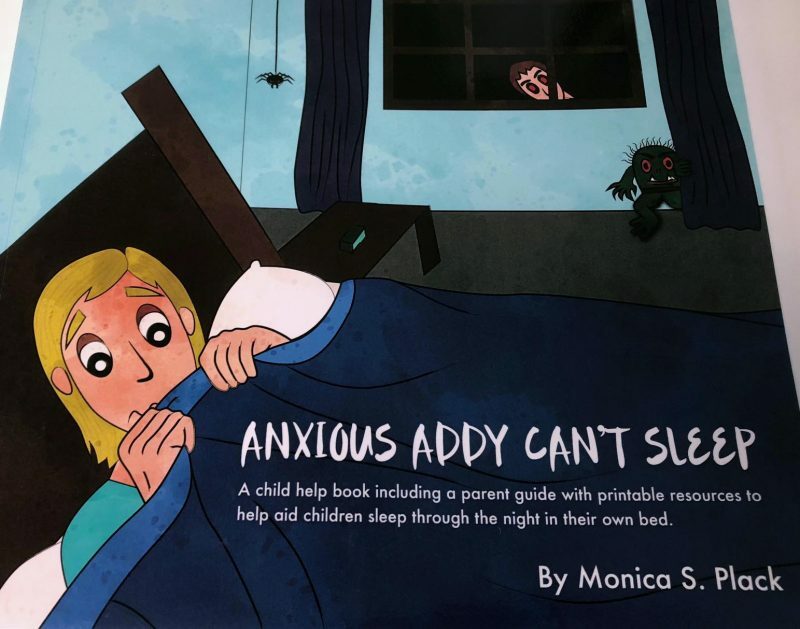 “Anxious Addy Can’t Sleep” is a paperback that captures the emotions of a child and her parents confronting anxiety, nighttime fears and many failed attempts to overcome these bedtime struggles – before meeting Dr. Dreams (a.k.a Akron Children’s pediatric psychologist Dr. Jamie Travis). 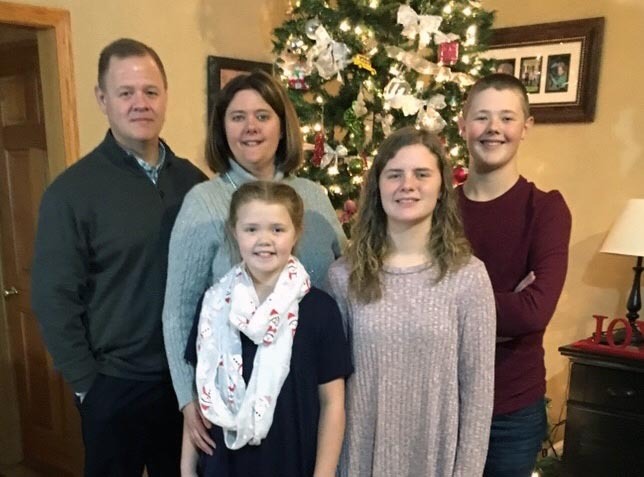 It’s the Plack family’s way of sharing what they learned from their own mistakes and Dr. Travis’ successful interventions. The back of the book includes a parent resource guide, including illustrations of Bailey’s rewards and responsibilities charts. The book is $14.95 and available through Amazon.